You can search for your dream car directly in the USA itself. Of course you can do this directly on site, but you can also do this from the comfort of your own home directly from the couch. There are numerous platforms in the US that allow you to choose from hundreds of thousands of vehicles. Below we give you a selection of different platforms. Click on the individual links and you will be redirected directly to the providers. Once you’ve found a vehicle that interests you, send us the information and we’ll get you the information you need. 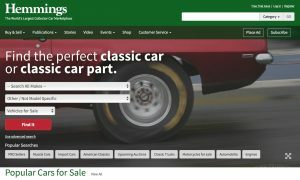 Hemmings.com is a classic sales platform in which private providers and dealers offer vehicles. Here you will also find high-priced vehicles. The quality of the ads is good and trusting. 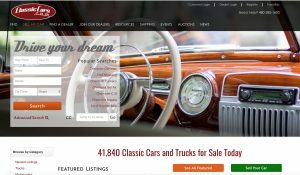 classiccars.com, the platform that has been in the USA for many years offers classic vehicles. Here interested dealers as well as private individuals. The offers are mostly serious. autotrader classic is a well-known and renowned platform for classic vehicles. This is a marketplace that also offers some more exotic classics such as Hot Rods, Street Rods and historic sports cars. 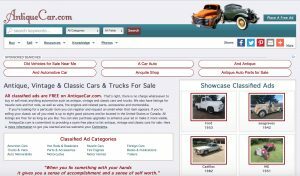 Antique car represents the classifieds market in USA. Thousands of vehicles are advertised here every day by private individuals. Another classified ad medium, which is very popular among US classic car collectors. Here you will also find vintage-utility vehicles and much more. 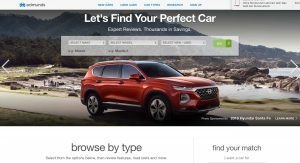 Edmunds.com is a sales online platform for modern vehicles and used cars. One of the biggest platforms is Ebay Motors. Ebay Motors offers around 200,000 vehicles a day, making it the leading sales platform.